Originally invented to imitate the sound of pipe organs, the electronic organ has found its specific role in modern music thanks to the introduction, in the early 30's, of the Hammond organ. Its distinctive sound has inspired many artists and musical genres. The unmistakable sound of the Hammond organ can be found in all its splendor in this sound library: from gospel music to prog rock, from blues to jazz, Vintage Drawbars will deliver straight in your hands the authentic and unique sound of the Hammond organ. 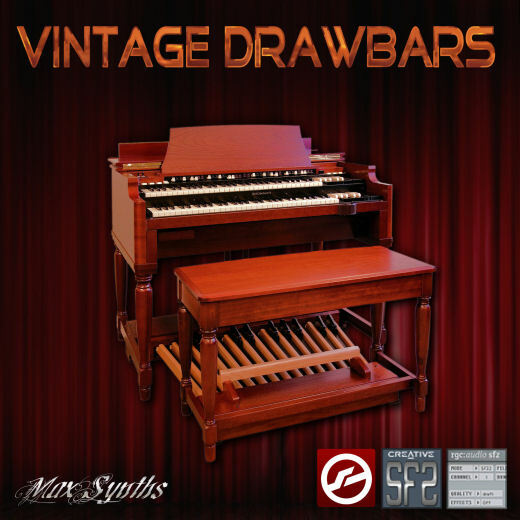 Vintage Drawbars contains a collection of 100 classic electronic organ sounds suitable for a wide range of musical genres and is available in Kontakt, Sfz and Soundfont file formats.